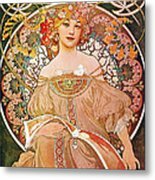 There are no comments for Daydream. Click here to post the first comment. 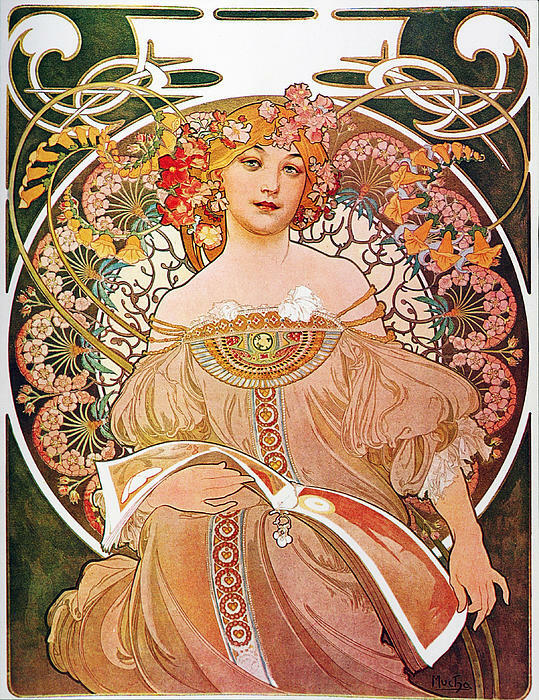 Alphonse Mucha Daydream/Reverie (1896) A beautiful Art Nouveau Lady. 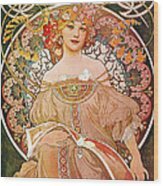 Alfons Maria Mucha, often known in English and French as Alphonse Mucha, was a Czech Art Nouveau painter and decorative artist, known best for his distinct style. He produced many paintings, illustrations, advertisements, postcards, and designs. 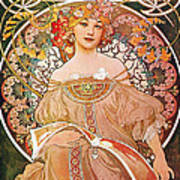 Mucha's work has continued to experience periodic revivals of interest for illustrators and artists. 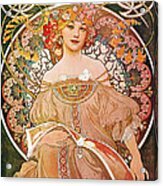 Interest in Mucha's distinctive style experienced a strong revival during the 1960s (with a general interest in Art Nouveau) and is particularly evident in the psychedelic posters of Hapshash and the Coloured Coat, the collective name for British artists Michael English and Nigel Waymouth, and Bob Masse.